WASHINGTON, DC, September 3, 2014 (ENS) – The avian flu virus that caused widespread harbor seal deaths in 2011 can spread to and infect other mammals and potentially humans, new research shows. Coastal regions where wild birds, wild mammals and human populations come into contact with each other are especially vulnerable, scientists warned today. A study by the U.S. Geological Survey and St. Jude Children’s Research Hospital shows that the avian influenza H3N8 strain that infected New England harbor seals could be transmitted to other mammals through the air without physical contact. Transmission by respiratory droplets through coughing, for example, is the main way flu viruses spread among people. The study also showed that current seasonal flu vaccines do not protect against this seal virus, meaning a new vaccine would be necessary if there ever was an outbreak in humans. The researchers tested a sample of the influenza virus taken from an infected harbor seal in New Hampshire in 2011, and found that the virus was closely related to inﬂuenza viruses from wild birds. However, the H3N8 virus isolated from the seal contained mutations that allowed it to reproduce efficiently in human lung cells, cause disease in mice and infect ferrets through the air. “Findings from this study highlight the need for continued surveillance and study of avian influenza genetics, particularly in areas like coastal regions where wild birds, wild mammals and human populations come into contact with each other,” said USGS scientist Jeff Hall. H3N8 viruses, common in wild birds, have been associated with ongoing outbreaks in dogs and horses and have also been detected in pigs, donkeys and now seals. Beginning in September 2011, more than 160 young harbor seals were found dead or dying along the New England coast as a result of this infection. 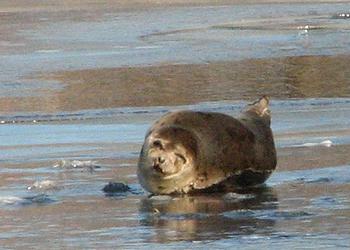 In previous H3N8 mortality events, up to 20 percent of the local seal population died. WASHINGTON, DC, September 3, 2014 (ENS) – Costco Wholesale Corporation, the nation’s second largest retailer, has agreed to cut emissions of ozone-depleting and greenhouse gas chemicals from refrigeration equipment at more than half of its stores nationwide. In the settlement announced today by the U.S. Environmental Protection Agency and Department of Justice, Costco will pay $335,000 in penalties for federal Clean Air Act violations and improve refrigerant management at 274 stores at an estimated cost of $2 million over the next three years. Headquartered in Issaquah, Washington, operates 466 stores in 43 U.S. states, the District of Columbia, and Puerto Rico, and additional stores worldwide, with revenues of $105.2 billion in 2013. 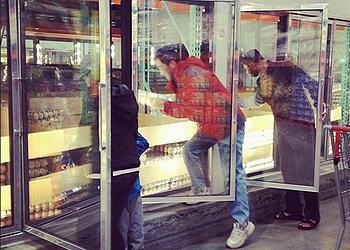 The settlement covers 274 Costco stores that have commercial refrigeration equipment regulated by the Clean Air Act. “Cutting harmful greenhouse gas emissions is a national priority for EPA, and this settlement will lead to significant reductions of an ozone-depleting gas that is 1,700 times more potent than carbon dioxide,” said Cynthia Giles, assistant administrator for EPA’s Office of Enforcement and Compliance Assurance. “Fixing leaks of refrigerants, improving compliance and reducing emissions will make a real difference in protecting us from the dangers of ozone depletion, while reducing the impact on climate change,” she said. “Industry needs to lead the way in abandoning harmful chemicals in favor of using and developing greener, environmentally friendly alternatives to protect our health and our climate,” said Sam Hirsch, acting assistant attorney general for the Justice Department’s Environment and Natural Resources Division. Under the settlement, Costco will implement a refrigerant management system to prevent and repair coolant leaks and reduce its corporate-wide average leak rate by one-fifth, from 24 percent in 2011 to 19 percent or less by 2017. Costco will install and operate environmentally friendly glycol secondary loop refrigeration systems and centrally monitored refrigerant leak detection systems at all new stores for three years. Under the settlement, Costco will retrofit commercial refrigeration equipment at 30 stores, reducing ozone-depleting and greenhouse gas emissions. The measures required of Costco by the settlement are expected to prevent more than 105,000 pounds of future releases of ozone-depleting refrigerants. The ozone layer prevents dangerous amounts of cancer-causing ultraviolet solar radiation from striking the Earth, increasing skin cancers and cataracts. R-22 is also a potent greenhouse gas with 1,700 times more global warming potential than carbon dioxide or CO2. The measures required by the settlement are expected to reduce Costco’s greenhouse gas emissions by the equivalent of 30,000 metric tons of carbon dioxide per year. Clean Air Act Title VI requires owners or operators of commercial refrigeration equipment with over 50 pounds of ozone-depleting refrigerants, and with an annual leak rate greater than 35 percent, to repair all leaks within 30 days. ALBANY, New York, September 3, 2014 (ENS) – New York Governor Andrew Cuomo Tuesday signed legislation forbidding the launch of watercraft in New York State unless boaters take reasonable precautions to prevent the spread of aquatic invasive species. The measure makes it the responsibility of boaters to use common sense when putting in and taking out their boats to help prevent the introduction of invasive species in new waterbodies throughout New York. Before transportation or launch, the boater should first clean, drain and dry the boat, trailer, and any other exposed equipment of visible plant and animal matter. State environmental officials worry that aquatic invasive species threaten economically important industries, such as tourism and fishing. Invasive species have few natural predators in their new environment and can carry harmful diseases. Invasives can outcompete native plants and animals and change entire ecosystems. Once introduced, they are nearly impossible to eradicate and expensive to manage. “The natural beauty that is found in every corner of New York is second to none, and it is imperative that we do everything possible to protect that from the dangers of invasive species,” Governor Cuomo said. “We all share a responsibility to protect our natural environment, and this legislation helps ensure that all who enjoy New York’s waters will also do their part to limit the spread of different types of aquatic life that would otherwise harm the local ecosystem,” he said. The new law complements a broad approach by state agencies to combat the spread of invasive species in New York’s waters. The Department of Environmental Conservation this summer adopted regulations similar to this bill that prohibits boats from launching or leaving water access sites on DEC land without first taking these precautions. The Office of Parks, Recreation and Historic Preservation this summer published proposed regulations that would place similar requirements on watercraft using State Parks. New York State has invested millions of dollars in response, mitigation and prevention programs to rid the environment of invasive species on water and land. In July, Governor Cuomo announced the state’s first Invasive Species Awareness Week to teach New Yorkers and visitors about the threat that these pests pose to ther environment. TUCSON, Arizona, September 3, 2014 (ENS) – Two conservation groups today notified the U.S. Department of Agriculture’s Wildlife Services program of their intent to sue over the program’s failure to ensure it is not harming rare cats called ocelots, which are listed as endangered under the federal Endangered Species Act. WildEarth Guardians and Animal Welfare Institute are preparing their joint court case in an attempt to ensure the few ocelots left in the United States survive. “It’s exciting that the ocelot, a nearly extinct species, is returning to its historic Arizona habitat. But Wildlife Services’ continued use of lethal, non-discriminate management techniques in the ocelot’s habitat runs the unacceptable risk of killing one of the few returning cats,” said John Mellgren, an attorney with Western Environmental Law Center, who is representing the groups. “We are simply asking that Wildlife Services comply with the law and consult with the federal biologists to ensure that its activities do not pose a danger to the cats,” said Mellgren. The potentially harmful effects of Wildlife Service’s lethal wildlife management activities on the endangered ocelot trigger a requirement that the program consult with the U.S. Fish and Wildlife Service. The Wildlife Services program failed to do so, violating the Act. 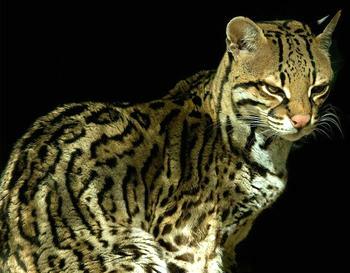 The ocelot has been listed as federally endangered since 1982. Historically, the cats inhabited southeastern Arizona and the southern Rio Grande Plain area of Texas. Although once thought extirpated from Arizona, multiple ocelot sightings occurred between 2009 and 2012. In April 2014, a remote camera detected a male ocelot in the Santa Rita Mountains, southeast of Tucson, Arizona, confirming the rare species roams the area. Ocelots are extremely vulnerable, threatened by habitat fragmentation, trapping, roads, development and capture for the pet trade. Wildlife Services is a relatively unknown federal program of the USDA responsible for the deaths of millions of wild animals each year under the auspices of wildlife damage management. The use of lethal non-discriminate management techniques to remove carnivores in and near areas where ocelots live, including blind sets, baited and scented traps, draw stations, leg and foot snares, and M-44 cyanide capsule ejectors, puts the endangered ocelots at risk of death or injury. With as few as two ocelots in Arizona, the death or injury of just one of the cats represents a major threat to the species’ survival. In violation of federal law, the groups claim, Wildlife Services has never consulted with the U.S. Fish and Wildlife Service about the impact of its activities in ocelot habitat in southern Arizona. 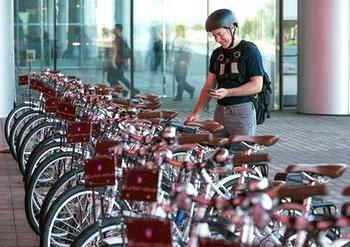 WARREN, Michigan, September 3, 2014 (ENS) – General Motors’ Warren Technical Center is implementing a bike share program. The first of its kind from any U.S. automaker, the new program will enable the 19,000 Warren Tech Center employees to commute more easily both on and off campus. GM is working with Zagster, a private bike sharing company that has developed similar programs for other businesses. Employees can use Zagster bikes stationed throughout the Tech Center to navigate among the 61 buildings that cover the 330-acre campus. With 11 miles (18 km) of roads and 1.1 miles (1.8 km) of tunnels, the Center is too big for walking to meetings and arriving on time. Posting on GM’s internal website OverDrive, engineers and designers expressed enthusiasm for riding bikes at a car company, where walking, driving and timed shuttle buses have been the typical ways employees get from one part of campus to another. To participate, an employee registers online, then reserves a bike with a text message or a smart phone app that provides an access code to unlock the lock box mounted on the bike. Zagster’s geofencing technology installed at each bike station, is powered by solar energy panels, the first private bikeshare system to employ this technology, usually used by large public bike share systems. EMMETSBURG, Iowa, September 3, 2014 (ENS) – Project LIBERTY, the nation’s first commercial-scale cellulosic ethanol plant to use corn waste as a feedstock, held its grand opening today. Once operating at full, commercial-scale, the POET-DSM biorefinery in Emmetsburg, Iowa will produce 25 million gallons of cellulosic ethanol per year – enough to avoid 210,000 tons of carbon dioxide emissions annually. POET-DSM Advanced Biofuels, LLC, is a 50/50 joint venture between Royal DSM and POET, LLC based in South Dakota. 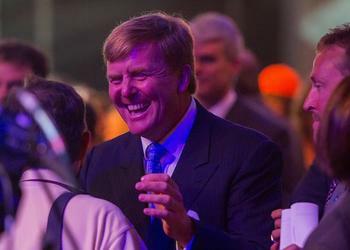 Present at the grand opening event was His Majesty Willem-Alexander, King of the Netherlands, an committed environmentalist who was there to honor the participation of Royal DSM. This Dutch company supplies the biochemical conversion technologies such as yeast and enzymes that turn the corn waste into transportation fuels. “I’d like to congratulate Emmetsburg, Iowa and the United States to have this premier on their soil,” said the King. Project LIBERTY will produce cellulosic ethanol from corncobs, leaves, husks, and corn stalk harvested by local farmers located within a 30 to 40 mile radius of the plant. The facility will produce enough heat from the anaerobic digester and solid fuel boiler to power the entire facility as well as POET-DSM’s co-located existing corn ethanol plant. This is enough to power about 70,000 American homes for a year. The U.S. Department of Energy has supported this first-of-a-kind project’s engineering, construction, biomass collection, and infrastructure through some $100 million in cost-shared support over seven years, beginning in 2007. Project LIBERTY is the nation’s second commercial-scale cellulosic ethanol biorefinery to come online. In 2013, INEOS Bio’s Indian River BioEnergy Center in Vero Beach, Florida, began producing ⁬eight million gallons of cellulosic ethanol per year from vegetative, yard, and municipal solid waste.